Twardek, W.M., R.J. Lennox, M.J. Lawrence , J.M. Logan, P. Szekeres, K. Tremblay, G.E. Morgan, A.J. Danylchuk, and S.J. Cooke. 2018. The post-release survival of Walleye Sander vitreus following ice angling on Lake Nipissing, Ontario. 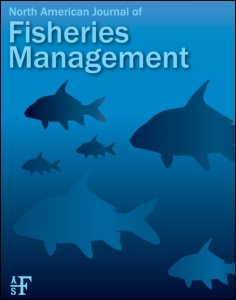 North American Journal of Fisheries Management 38: 159-169.